Button holes can be very challenging, even for experienced sewers. You've spent hours on that beautifully sewn garment and now you're faced with those scary button holes. Lose your fear! 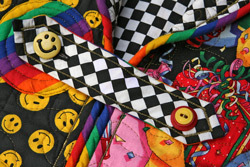 This class will focus on making the classic bar-tack button holes for garments like shirts, blouses, trousers, skirts, pajamas and children’s clothing. 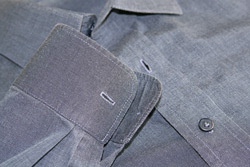 Learn how to size, place and mark button holes for maximum performance and quality appearance. We’ll review tips and tricks for making good looking and strong button holes and practice making them with your zig-zag sewing machine, even if it doesn’t have a built-in button hole feature. Samples and a brief discussion of other button hole types and their application will be provided. If time permits, we will also have a demonstration of the classic, time-tested and dependable cam-controlled button hole accessory available for most sewing machines. A supply list will be provided when registering. This is a three-hour class or a two-hour mentoring session.